So- back to school for the summer. I guess I have that backwards, but for me summer means school this year. 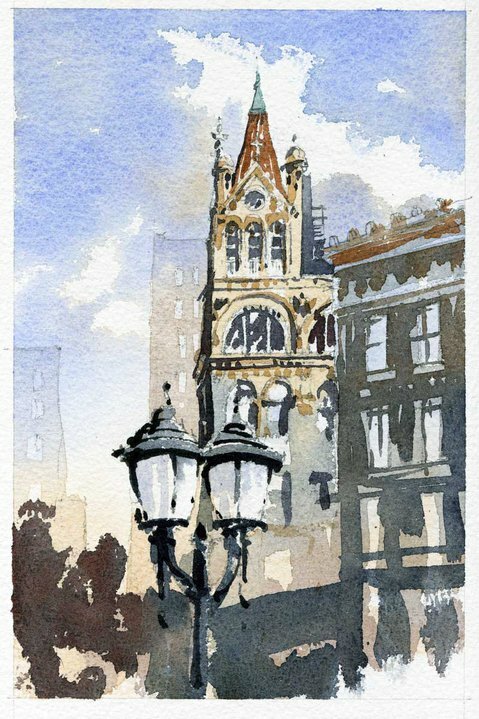 Two drawing courses and a watercolor class all on Tuesdays and Thursdays. I'm pretty shot after talking for what amounts to 7 hours. It's a pretty big change from the life of the architectural illustrator, but extremely rewarding and a great challenge. The watercolor group looks to be a good one. Here's the first demo I did yesterday. I'll post more of these as we do them. 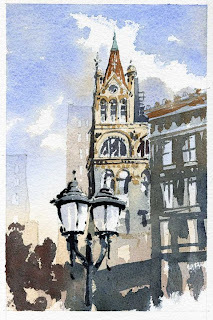 South Railroad Avenue in Snow received the Southern Watercolor Society Award at the WSA National Exhibit this month. Pretty good, Ian!You have created magic with minimum brushwork.